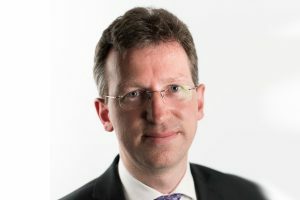 In his first public-facing speech as secretary of state for digital, culture, media and sport in the UK, Jeremy Wright is to explain that protecting broadcasters will be a “vital” part of Brexit negotiations, during Edinburgh’s International TV Festival. In particular, Wright will say that he will support broadcasters when it comes to talent and the free movement of talent. As he addresses issues around the UK’s Brexit negotiations, Wright will say: “As outlined in the recent White Paper, we are seeking to agree a framework for mobility with the EU. This will include reciprocal arrangements to allow UK nationals to visit the EU without a visa for short-term business reasons, with equivalent arrangements for EU citizens coming to the UK. While there are still issues to be resolved in the EU exit process, Wright will say he will make the case for the interests of the broadcasting sector. “But regardless of our settlement with the EU, broadcasting will remain a vital part of what Britain offers the world because we have a broadcasting sector that’s really worth shouting about,” he is expected to say.